Goddard College is a low-residency college with three locations in the United States: Plainfield, Vermont; Port Townsend, Washington; and Seattle, Washington. The college offers undergraduate and graduate degree programs. With predecessor institutions dating to 1863, Goddard College was founded in 1938 as an experimental and non-traditional educational institution based on the ideas of John Dewey: that experience and education are intricately linked. Goddard College uses an intensive low-residency model. First developed for Goddard's MFA in Creative Writing Program, Goddard College operated a mix of residential, low-residency, and distance-learning programs starting in 1963 before switching to a system of 100% low-residency programs with the closure of its Residential Undergraduate Program in 2002. In most programs, each student designs their own curriculum and the college uses a student self-directed, mentored system in which faculty issue narrative evaluations of students' progress as they fulfill their program's degree criteria. Goddard offers a Bachelor of Arts (BA), Bachelor of Fine Arts (BFA), Master of Arts (MA), Master of Fine Arts (MFA), along with several concentrations and Licensures. It enrolls approximately 700 students, 30% of whom are undergraduates. It employs 110 faculty and 90 staff. Goddard College began in 1863 in Barre, Vermont, as the Green Mountain Central Institute. In 1870, it was renamed Goddard Seminary in honor of Thomas A. Goddard (1811–1868) and his wife Mary (1816–1889). Goddard was a prominent merchant in Boston, and was one of the school's earliest and most generous benefactors. Founded by Universalists, Goddard Seminary was a four-year preparatory high school, primarily for Tufts College. For many years the Seminary prospered. But the opening of many good public high schools in the 20th century made many of the New England academies obsolete. To attempt to save it, the trustees added a Junior College to the Seminary in 1935, with a Seminary graduate, Royce S. "Tim" Pitkin, as President. Royce S. "Tim" Pitkin was a progressive educator and follower of John Dewey, William Heard Kilpatrick and other, similar proponents of educational democracy. In 1936, under his leadership, the Seminary concluded that in order for Goddard to survive, an entirely new institution would need to be created. A number of prominent educators and laymen agreed with him. Pitkin was supported by Stanley C. Wilson, ex-governor of Vermont and chairman of the Goddard Seminary Board of Trustees; Senators George Aiken and Ralph Flanders and Dorothy Canfield Fisher. Pitkin was able to persuade the Board of Trustees to embrace a new style of education, one that substituted individual attention, democracy, and informality for the traditionally austere and autocratic educational model. On March 13, 1938, Goddard College was chartered. In July 1938 the newly formed Goddard College moved to Greatwood Farm in Plainfield, Vermont. The new Goddard was an experimental and progressive college. For its first 21 years of operation, Goddard was unaccredited and small, but built a reputation as one of the most innovative colleges in the country. Especially noteworthy were Goddard's use of discussion as the basic method in classroom teaching; its emphasis on the whole lives of students in determining personal curricula; its incorporation of practical work into the life of every student; and its development of the college as a self-governing learning community in which everyone had a voice. In 1959 Goddard College became accredited. As of 2015 it is accredited by the New England Association of Schools and Colleges. One of the founding principles of Goddard was that it should provide educational opportunities for adults. There was a great need for a program for adults who had not completed college, to obtain degrees without disrupting their family lives or careers. The Adult Degree Program (ADP), created by Evalyn Bates, was established in 1963. It was the first low-residency adult education program in the country. Over the years many experimental programs were designed at Goddard. These programs included the Goddard Experimental Program for Further Education, Design Build Program, Goddard Cambridge Program for Social Change, Third World Studies Program, Institute for Social Ecology, Single Parent Program and many others. Having narrative transcripts instead of traditional letter grades, as well as learner-designed curricula, Goddard was one of the founding members of the Union for Experimenting Colleges and Universities, which also included Franconia, Nasson, Antioch, and others. In 2002, after 54 years, the college terminated its residential undergraduate degree program and became an exclusively low-residency college. Three years later, the college expanded to the West Coast and established a residency site in Port Townsend, Washington. In July 2011 Goddard began to offer their education program (non-licensure only) in Seattle, Washington. The campus in Plainfield was founded in 1938 on the grounds of a late 19th-century model farm: The Greatwood Farm & Estate consists of shingle style buildings and gardens designed by Arthur Shurcliff. The Village of Learning, consisting of eleven dormitory buildings, was constructed adjacent to the ensemble of renovated farm buildings in 1963 to accommodate an increasing student population. The Pratt Center & Library, sited to be at the heart of a larger campus, was constructed in 1968. No other significant new construction has been added to the campus since that time. On March 7, 1996 the Greatwood campus was recognized for its historic and architectural significance with its inclusion on the National Register of Historic Places. A US Army post from 1902 to 1953, much of the fort has been renovated and turned into a year-round, multi-use facility dedicated to lifelong learning which houses several organizations that comprise Fort Worden State Park. The fort sits on a bluff overlooking the Strait of Juan de Fuca and Admiralty Inlet near Port Townsend, Washington. The MA in Education program, originally held in the Plainfield-based low-residency program, expanded into Columbia City, one of Seattle's most ethnically and racially diverse neighborhoods, in 2011. The program is unique in that it trains students in bilingual preschool education. Students can focus on such areas as intercultural studies, dual language, early childhood, cultural arts, and community education, and then create their plan of studies for each semester. The program is also different in that it is designed to serve students who cannot leave their families and communities for the residency. The “community campus” is housed in different buildings in the area. Each Goddard student designs their own curriculum in accordance with their program's degree criteria. In addition to fulfilling academic criteria in the subjects of the arts, the humanities, mathematics, natural sciences and social sciences, undergraduate students must also demonstrate critical thinking and writing, understanding of social and ecological contexts, positive self-development and thoughtful action within their learning processes. The college uses a student self-directed, mentored system in which faculty issue narrative evaluations of student's progress instead of grades. The intensive low-residency model requires that students come to campus every six months for approximately eight days when students engage in a variety of activities and lectures from early morning until late in the evening and create detailed study plans. During the semester, students study independently, sending in "packets" to their faculty mentors every few weeks. When low-residency education began at Goddard, packets were actual packets of paper sent via the mail, but with the advancement of the internet, most packets are sent electronically and may contain artwork, audio files, photography, video and web pages in addition to writing. The schedule and format of these packets differ from program to program, and content varies with each student-faculty correspondence, but almost always focuses on research, writing, and reflection related to each student's individualized study plan. At regular intervals students compile their work into "learning portfolios" to submit as part of a Progress Review before a cross-program board of faculty who track that all students' work is in compliance with the college's degree criteria. Undergraduates must then complete a yearlong Senior Study, accompanied by final graduating presentations of work, before being award a degree. The Eliot D. Pratt Center and Library, located in Plainfield, Vermont serves the entire Goddard College community, and is open to the public. Its holdings contain over 70,000 physical items and access to over 20 electronic databases. The building also houses several administrative offices, an Archives room with artifacts from the 1800s to present, an Art Gallery, and WGDR (91.1 FM), a college/community radio station serving Central Vermont since 1973. Goddard is home to Goddard College Community Radio, a community-based, non-commercial, listener-supported educational radio station with nearly 70 volunteer programmers who live and work in central and northern Vermont and who range in age from 12 to 78 years. WGDR, 91.1 FM, is licensed to Plainfield, Vermont. Its sister station, WGDH, 91.7 FM, is licensed to Hardwick, Vermont. Goddard College Community Radio is the largest non-commercial community radio station in Vermont and is the only non-commercial station in the state other than the statewide Vermont Public Radio network that receives funding from the Corporation for Public Broadcasting. The Haybarn Theatre was built in 1868 by the Martin Family and was one of the largest barns in Central Vermont. The Haybarn was originally used to store hay, grain and livestock. In 1938 when Goddard College purchased Greatwood Farm they began the process of turning the farm buildings into academic and student spaces. The Haybarn was renovated in order to provide a space for the performing arts. For almost 75 years the Haybarn Theatre has been a place where the local community and the College come together to enjoy and appreciate the arts. This long tradition continues to this day as the Haybarn hosts educational conferences, student and community performances and the ongoing Goddard College Concert Series. In June 1970 Goddard hosted the Alternative Media Conference which attached more than 1,600 radio DJs and others involved in independent media from all over the United States. Featured presenters included Yippee founder Jerry Rubin, spiritual leader Ram Dass, LArry Yurdin, Danny Fields, Bob Fass and Paull Krassner from The Realist. A music roster of up-and-coming bands was curated by Atlantic Records and included Dr. John and the J. Geils Band. The conference embodied both the political activism and the free-love atmosphere of the time: a coalition affiliated with the Panther 21, The Guardian, Newsreel, Radio Free People, Liberation News Service, Media Women and The New York Rat put together a packet highlighting the political side of alternative media, and during a panel about undergroud comics, a couple being fornicating behind speaker Harvey Kurtzman from Mad Magazine. A second Alternative Media Conference was held on campur in 2013 to commorate the college's 150th anniversary. In 2014, the graduating class of the college's undergraduate program selected convicted murderer and Goddard alumnus Mumia Abu-Jamal as commencement speaker. Abu-Jamal, who had attended Goddard as an undergraduate in the 1970s, completed his Goddard degree from prison via mail while serving his sentence for the 1982 murder of Philadelphia police officer Daniel Faulkner. The decision to invite Abu-Jamal to speak was criticized by Faulkner's widow, US Senator Pat Toomey, the Vermont Troopers Association, the Vermont Police Chiefs Association, the Fraternal Order of Police, and the Pennsylvania Department of Corrections. The college's interim President, Bob Kenny, supported the right of students to select a commencement speaker of their choosing. On October 5, the school released his commencement speech. The pre-recorded speech did not mention Mumia's murder conviction. Walter Butts – American poet and the Poet Laureate of New Hampshire. ^ "Dr. Bernard Bull Announced as New Goddard College President". Goddard College. 2018-10-02. Retrieved 2019-01-23. ^ a b Carlson, Scott (Sep 9, 2011). "Goddard College Takes a Highly Unconventional Path to Survival". The Chronicle of Higher Education. LVIII (3): A6. Retrieved 12 March 2013. ^ Huff, Mel (November 2, 2007). "Goddard Goes Global". Barre Montpelier Times Argus. Barre, VT.
^ Benson, Ann Giles &, Frank Adams (1999). To Know For Real: Royce S. Pitkin and Goddard College. Adamant, Vt: Adamant Press. pp. 5–20. ISBN 978-0912362205. ^ Archer, Leonard B (Jan 13, 1951). "College Governed Town Meeting Style, Its Buildings a Vermont Farm". The Christian Science Monitor. ^ Carlson, Scott (Sep 9, 2011). "Goddard College Takes a Highly Unconventional Path to Survival". The Chronicle of Higher Education. LVIII (3): A1. Retrieved 12 March 2013. ^ Kiester, Ed (Jan 30, 1955). "The Most Unusual College in the U.S.". Parade Magazine. ^ Davis, Forest K. (1996). Things Were Different in Royce's Day: Royce S. Pitkin as Progressive Educator: A Perspective from Goddard College, 1950–1967. Adamant, Vermont: Adamant Press. p. 115. ISBN 978-0912362175. ^ Maki, Peggy L. (2012). "Appendix 5.1: Institutional Example: The Educational Context for Goddard College's Learning Portfolio and Progress Review". Assessing for Learning: Building a Sustainable Commitment Across the Institution. Stylus Publishing, LLC. pp. 198–200. ISBN 9781579224967. ^ Goldberg, Danny (2008). "2: Undrground Radio". Bumping Into Geniuses: My Life Inside the Rock and Roll Business. Penguin. pp. 35–44. ISBN 9781592403707. ^ Alan, Carter (2013). "Movin' On Up". Radio Free Boston: The Rise and Fall of WBCN. UPNE. ISBN 9781555537296. ^ a b c Moss, Jack (13 July 2018). "The American Guru Who Inspired Wales Bonner S/S19". AnOther. Retrieved 14 March 2019. Ram Dass (Richard Alpert) at The Alternative Media Conference, June 1970 at Goddard College in Plainfield, Vermont. ^ McMillian, John (2014). Smoking Typewriters: The Sixties Underground Press and the Rise of Alternative Media in America. Oxford University Press. p. 115. ISBN 9780199376469. ^ Roy, William G. (2010). Reds, Whites, and Blues: Social Movements, Folk Music, and Race in the United States. Princeton University Press. p. 228. ISBN 9781400835164. ^ Eliis, Kevin (18 April 2013). "Thom Hartmann and Ellen Ratner to headline Goddard College Alternative Media Conference". vtdigger.org. Retrieved 14 March 2019. ^ a b Mike Donoghue, Burlington (Vt.) Free Press (2 October 2014). "Goddard chooses convicted cop killer for grad speaker". USA TODAY. Retrieved 6 May 2015. ^ Boyer, Dave. "Cop-killing ex-Black Panther to give college commencement address", The Washington Times, September 30, 2014. Accessed October 1, 2014. ^ ABC News. "Critics Outraged Cop Killer Mumia Abu-Jamal Named College Speaker". ABC News. Retrieved 6 May 2015. ^ "Goddard College sparks outrage with invitation to jailed cop killer Mumia Abu-Jamal". Washington Post. Retrieved 6 May 2015. ^ "U.S. Sen. Pat Toomey joins throng criticizing Goddard's choice of Mumia Abu-Jamal as commencement speaker". PennLive.com. Retrieved 6 May 2015. ^ Kolber, Samantha. "Mumia Abu-Jamal to Give Commencement Speech at Goddard College", September 29, 2014. Accessed October 5, 2014. ^ Chang, David. "College Releases Mumia Abu-Jamal's Commencement Speech, Philadelphia Police Protest", NBC10, October 5, 2014. ^ Oct. 5, 2014 Goddard College Commencement Speech by Mumia Abu-Jamal. Vimeo. Retrieved 6 May 2015. ^ Briskin, Alan (1998). Stirring of Soul in the Workplace. Berrett-Koehler Publishers. p. 289. ISBN 9781609943967. ^ "HypnoSeries : Séries TV – Communautés de fans". HypnoSeries (in French). Retrieved 26 October 2017. ^ "Anna Lee Walters". www.hanksville.org. Retrieved 26 October 2017. ^ "NEA Jazz Masters | NEA". www.arts.gov. Retrieved 26 October 2017. ^ "Blakeley White-McGuire | New York Live Arts". New York Live Arts. Retrieved 26 October 2017. ^ Zeman, Mary Beth (January 15, 2008). "William Paterson University" (Press release). secure.wpunj.edu. Retrieved 26 October 2017. ^ "Cara Hoffman | Pen Parentis Literary Salons | Parenting Done. Write". www.penparentis.org. October 5, 2013. Retrieved 26 October 2017. ^ Lee, Don (Fall 2002). Livesey, Margot, ed. "Julie Orringer and Caroline Finkelstein, Cohen Awards". Ploughshares (88). ^ "Three Poems by Charlie Bondhus". Counter Punch. November 8, 2013. Retrieved 26 October 2017. ^ Brown, E. Philip (2017). Greeks of the Merrimack Valley. Arcadia Publishing. p. 80. ISBN 9781439661895. ^ Bernstein, Adam (28 October 2008). "Obituaries". The Washington Post. Retrieved 26 October 2017. ^ "Conrad Herwig, Jazz Artist in Residence | MSU College of Music". College of Music. Michigan State University. May 31, 2017. Retrieved 26 October 2017. ^ Wall, Alex (12 March 2015). "Daniel Boyarin: Talmudist, feminist, anti-Zionist, only-in-Berkeley Orthodox Jew – J." J.ewish Weekly of Northern California. Retrieved 27 October 2017. ^ Arias, Jeremy (May 12, 2015). "Former Frederick resident, comic book writer returns to Brainstorm Comics for signing". The Frederick News-Post. Retrieved 27 October 2017. ^ "Saved By The Sea by David Helvarg | Kirkus Reviews". May 11, 2010. Retrieved 27 October 2017. ^ a b c d e f g h i j k l Carlson, Scott (4 September 2011). "Goddard College's Unconventional Path to Survival". The Chronicle of Higher Education. Retrieved 26 October 2017. ^ a b c d e f g h i j k l Neal, Dale (June 30, 2016). "Over 4 decades, Warren Wilson program forges new literary voices". Citizen Times. Retrieved 27 October 2017. ^ Manual of the Legislature of New Jersey (PDF). Manual of the Legislature of New Jersey. Newark, NJ: Skinder-Strauss Associates. 2004. p. 281. ISBN 978-1-57741-187-1. Retrieved 27 October 2017. Assemblyman Tucker is serving his fourth term in the Assembly. Mr. Tucker is an at-large city councilman in Newark, a position he has held since 1974. He was born in Newark on March 18, 1938, and is a graduate of the city’s Central High School. He received a degree in urban planning at Goddard College in Vermont and has taken post-graduate public administration courses at Rutgers University. Assemblyman Tucker is a veteran of the U.S. Air Force, having served from 1955 to 1959. The assemblyman is a founding member of the United Brothers, the Centre, Inc., the Newark Coalition for Low Income Housing, the Newark Tenants Council, and the city’s first comprehensive drug treatment program and first high school equivalency program. He is a former field secretary and vice chairman of the Congress of Racial Equality (CORE) of Essex County. He worked in the civil rights movement in Mississippi and Maryland during the 1960’s. He is married to the former Cleopatra Gibson and has two adult children. ^ "Ed Allen | | University of Alaska Anchorage". www.uaa.alaska.edu. Retrieved 27 October 2017. ^ "Elaine Terranova". poets.org. Academy of American Poets. 25 October 2000. Retrieved 27 October 2017. ^ "MacArthur 'Genius' Ellen Bryant Voigt: 'Poetry Is An Intelligence'". Radio Boston. WBUR. October 12, 2015. Retrieved 27 October 2017. ^ "Ellen Ratner joins WND personalities". WND. October 19, 2001. Retrieved 27 October 2017. ^ "Goddard College in Vermont". Poets & Writers. Retrieved 11 March 2019. ^ The Remington Registry of Outstanding Professionals: 2009–2010. Xlibris Corporation. 2011. p. 697. ISBN 9781462863730. ^ Payne, Carla R. (2009). Information Technology and Constructivism in Higher Education: Progressive Learning Frameworks: Progressive Learning Frameworks. IGI Global. ISBN 9781605666556. ^ Academy of European Law (2013). Collected Courses of the Academy of European Law / Recueil des cours de l' Académie de droit européen: 1991 The Protection of Human Rights in Europe Vol. II. Springer Science & Business Media. p. 203. ISBN 9789401710749. ^ Poletick, Rachel (May 4, 2011). "Toon Times: Ashman left Disney his heart". www.northbynorthwestern.com. Retrieved 27 October 2017. ^ Raab, Zara (13 May 2011). "Interview with Poet Jacqueline Berger – Coal Hill Review". Coal Hill Review. Retrieved 27 October 2017. ^ a b Hofmann, Hans. "James Gahagan". www.pbs.org. PBS. Retrieved 27 October 2017. ^ Dwilson, Stephanie Dube (25 August 2015). "Jane O'Meara Sanders, Bernie's Wife: 5 Fast Facts You Need to Know". Heavy.com. Retrieved 27 October 2017. ^ "Jared Carter". Poetry Foundation. 27 October 2017. Retrieved 27 October 2017. ^ a b Lent, Michael (2015). Orbit: Stephen King. StormFront Entertainment. ^ "Jeff McCracken | New York Writers Workshop and Resources Site demo". mklennon.com. Retrieved 19 October 2017. ^ Hallenbeck, Bruce (July 26, 2017). "Summer reading, Vermont-style: New books by local authors". Burlington Free Press. Retrieved 27 October 2017. ^ Heller, Jules; Heller, Nancy G. (2013). North American Women Artists of the Twentieth Century: A Biographical Dictionary. London: Routledge. p. 1773. ISBN 9781135638894. ^ a b c Tuohy, Laurel (September 15, 2004). "Gasball draws diverse acts". NewsTimes. Danbury, CT. Retrieved 27 October 2017. ^ Bernstein, Scott (6 May 2013). "Jon Fishman Performs With We're Bionic In Burlington – Glide Magazine". Glide Magazine. Retrieved 27 October 2017. ^ Murray, Noel (June 14, 2016). 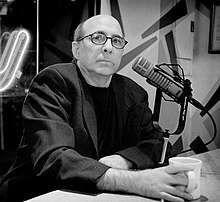 "Jonathan Katz". The A.V. Club. Retrieved 27 October 2017. ^ "The Graduate College Faculty Directory" (PDF). 1999. Retrieved 27 October 2017. ^ Ferguson, Carrie (2000-04-16). "Reclaiming the Queen". The Tennessean p. 10-11. ^ Ruane, Michael E. (1 March 2000). "REPUBLICAN PRIMARIES: U.S. Senate". Washington Post. Retrieved 4 November 2017. ^ Brinkman, Kiara (2008). Up High in the Trees: A Novel. Grove/Atlantic, Inc. p. 327. ISBN 9781555846121. ^ "Kristofer M. Neely". webs.wofford.edu. Retrieved 4 November 2017. ^ Hughes, Paul (January 15, 1987). "Cartoons Sell Best in Hong Kong". The Tustin News. Tustin, California. p. 2. Feign, who would later attend UC Berkeley for two years, graduate from Goddard College, and begin graduate work at the University of Hawaii, finished high school at Hillview Continuation School in 1972 at age 16. ^ "Faculty & Staff – Brooks, Lisa – Amherst College". www.amherst.edu. ^ Kawashima, Dale. "Madeline Stone Enjoys Hit Songwriting Success in Pop, Christian, Country and R&B Genres". Songwriter's Universe Magazine. Retrieved 25 December 2009. ^ "Martin Hyatt | KQED". KQED Public Media. Retrieved 9 November 2017. ^ "Mary Johnson". aroomofherownfoundation.org. A Room of Her Own Foundation. Retrieved 9 November 2017. ^ "Matthew Quick". www.fantasticfiction.com. Fantastic Fiction. Retrieved 9 November 2017. ^ Irwin, Shelby Z. Dr. Mayme A. Clayton: Librarian and Preservationist of Black Memorabilia. New Haven: Southern Connecticut State University. p. 2. ayton received her bachelor’s degree from UC Berkeley, her master’s degree from Goddard College and a doctoral degree from Sierra University. ^ "Monica P. Mayer". The Brooklyn Museum. Retrieved 9 November 2017. ^ "Norman Dubie". Poetry Foundation. 9 November 2017. Retrieved 9 November 2017. ^ Holland, Geoffrey (12 February 2008). "Obituary: Oliver Foot". The Guardian. Retrieved 9 November 2017. ^ McConnell, Paige (December 19, 1987). "The Art of Improvisation - Page's Thesis - Phish.net". phish.net. Phish. Retrieved 9 November 2017. ^ "Pamela Stewart | Authors | Alice James Books". Alice James Books. Retrieved 9 November 2017. ^ a b Kalish, Jon (August 24, 2013). "Bread And Puppet Marks 50 Years Of Paper Mache And Protest". Weekend Edition. National Public Radio. Retrieved 26 October 2017. ^ "TQ News". TriQuarterly News. 1. Fall 1988. ^ "The Activist Issue". Clockworks (Fall/Winter 2015). November 19, 2015. ^ "Ironwood". 5 (9). Ironwood Press. 1977: 118. ^ "Plainfield Co-op". www.plainfieldcoop.com. Retrieved 9 November 2017. Local Goddard College has always attracted educated liberal types with colorful flair, including members of the band Phish, David Mamet, Piers Anthony, and abstract artist Robert M. Fisher. ^ "The Ronnie Burrage Trio Featuring Archie Shepp". Onion River Community Access Media. 19 February 2016. Retrieved 28 October 2017. ^ Ireland, Ann (13 October 2014). "Hand in Glove: The Poetic Collaborations of Kim Maltman & Roo Borson --- Ann Ireland | Numéro Cinq". Numéro Cinq. Retrieved 19 October 2017. ^ "Russell Potter". University of Rhode Island. Retrieved 15 November 2017. ^ Smith, Steven C. (October 12, 2017). "Curriculum Vita" (PDF). George Washington University | The George Washington University. Retrieved 15 November 2017. ^ Aart, Greta. "Cerise Press › Political Awareness, Social Consciousness and Memory in Susan Tichy's Poetry". Cerise Press. Retrieved 27 October 2017. ^ Layne, Joslyn. "Susie Ibarra | Biography & History | AllMusic". AllMusic. Retrieved 15 November 2017. ^ Mesrobian, Melissa Kiser (February 26, 1986). "Princeton Alumni Weekly". Princeton University. p. 50. ^ Greenhouse, Steve. "Tim Costello, Trucker-Author Who Fought Globalization, Dies at 64", The New York Times, December 26, 2009. Accessed December 28, 2009. ^ Fox, Margalit (25 September 2005). "Tobias Schneebaum, Chronicler and Dining Partner of Cannibals, Dies". The New York Times. Retrieved 15 November 2017. ^ Wertlieb, Mitch; Bodette, Melody (October 3, 2013). "Olympian Tommie Smith To Be Honored By Goddard". www.vpr.org. Retrieved 14 March 2019. Smith said he’s always been fighting for education and human rights and became part of the masters program at Goddard because he could use his teaching and writing experience towards his degree. ^ Davis, David (August 2008). "Olympic Athletes Who Took a Stand". Smithsonian. Retrieved 14 March 2019. ^ Leepson, Marc. "Pilgrim's Progress: Wayne Karlin and the Vietnam War". The VVA Veteran (July/August 2005). Retrieved 26 October 2017. ^ a b Metz, Nina (July 13, 2017). "These Chicago actors just got nominated for an Emmy". Chicago Tribune. Retrieved 26 October 2017. ^ "Conversation with William L.White". Journal Interview. 86 (9): 1365–1376. 2007. doi:10.1111/j.1360-0443.2007.01796.x. Retrieved 26 October 2017. ^ Benson, Ann Giles; Adams, Frank; Dixon, James P. (1999). To Know for Real: Royce S. Pitkin and Goddard College. Adamant Press. ISBN 9780912362205. ^ "Caryn Mirriam-Goldberg". Huffington Post. Retrieved 27 October 2017. ^ Maxwell, Carrie (November 8, 2017). "AFC conference focuses on bisexual health – Gay Lesbian Bi Trans News Archive". Windy City Times. Retrieved 14 March 2019. ^ McCullum, April (July 21, 2017). "The unraveling of Jane Sanders' Burlington College legacy". Burlington Free Press. Retrieved 27 October 2017. ^ Bruce-Briggs, B. (1979). The New Class?. Transaction Publishers. p. 63. ISBN 9781412829557. ^ "Immortality, by Lisel Mueller - Poem 173 | Poetry 180: A Poem a Day for American High Schools, Hosted by Billy Collins, U.S. Poet Laureate, 2001–2003 (Poetry and Literature, Library of Congress)". loc.gov. Library of Congress. Retrieved 28 October 2017. ^ "Marilyn Webb". She's Beautiful When She's Angry. Retrieved 27 October 2017. ^ "75th Anniversary Conference Bios". www.webdelsol.com. Retrieved 27 October 2017. ^ "Thomas Shuzo Yamamoto". Times Argus. January 5, 2005. Retrieved 14 March 2019. Wikimedia Commons has media related to Goddard College.